I am also collecting tips and tricks I have found valuable in shaping my teaching, research, and writing; see the resources below. 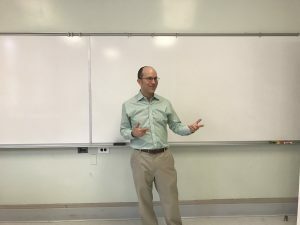 In Spring 2019, my "Slavery in the Bronx" course has been a chance to bring research about slavery and emancipation, race relations and public planning, public history and advocacy to Manhattan College's home borough. My students have continued the work done by Justin Czarka, Philip Panaritis, and students at PS 48, in Drake Park in Hunts Point, and by the Van Cortlandt House Museum in the attic and Kingsbridge Historical Society, in Van Cortlandt Park. and Bronx 12 in Van Cortlandt House Museum. As we meet with grade-school students, community elders, politicians, local museum and parks officials, and the community board, we are working to get signs and memorials to mark the African American burial grounds in both parks. We are also conducting research, via genealogical and legal documents, to learn more about the life of enslaved Africans across what is now the Bronx. This page is a work in progress, as I collect those tips and tricks I have found valuable in shaping my teaching, research, and writing. I will gather my own advice columns, podcasts, and review essays on these subjects at the top, and then add resources below as I find time. Adam Arenson and Claire Potter, Writing History Seminar in New York City, The New School. September 2015-ongoing. Adam Arenson, “Facing Out from the Academy: How to Expand Your Writing & Engage a Broader Public,” podcast from a call-in with Meggin McIntosh, Emphasis on Excellence. May 2011. Adam Arenson, “How Research Blogging Improves Urban History,” Urban History Association Newsletter (August 2011), 10-11. Jana Remy with contributions from Adam Arenson, Making History Podcast podcasts and blog posts, 2008-2012. Robert Boice, Advice for New Faculty Members. Despite the name, this book should be required reading for anyone working to balance a writing project with a “day job.” Based on data gathered for faculty effectiveness, Boice lays out how to manage teaching, publication, and service expectations. See a summary here. • Megan Kate Nelson, Historista blog, 2014-ongoing. On history writing in and outside of a faculty job, getting an agent, and more. James Lang, A Week-by-Week Guide to Your First Semester of College Teaching. It is what is says–walking you through that first semester, and helping you plan for the course syllabus and preparation to meet every needed expectation. Wayne Booth, Gregory Colomb, and Joseph Williams, The Craft of Research. Not scintillating, but solid–an exploration of what we do when we research, and how to express those results. William Cronon and HIST/GEOG 932, “Learning to Do Historical Research,” 2008. An excellent website that breaks down the research process–by students, for students at all stages. Robert Boice, Advice for New Faculty Members. See above. Jill Lepore, “How to Write a Paper for this Class,” Historically Speaking, 11 (1): 19-20. An inspiration for my CSI piece, which compares writing a paper to cooking a fish.